Should You Bother Refinancing Your Current Mortgage Rate? If you don’t mind, let me beat a dead horse. Mortgage rates are at or near record lows and you could save a ton of money by refinancing your mortgage. The funny thing is I tell my family the same exact thing, though they don’t bother looking into refinancing either. They bring it up to me here and there, but don’t do much beyond that. And you can only tell someone something so many times before you give up. Update: I finally convinced my sister to refinance and she’s savings hundreds every month. She has since thanked me repeatedly and told me she should have done it sooner. Better late than never! We all procrastinate, especially when it’s something as awful sounding as a mortgage. Don’t Have the Time to Refinance? For some reason, most folks I know haven’t bothered looking into a refinance. Maybe they don’t have any spare time to do so? Or it could be that the task is seemingly so daunting that they avoid it altogether. It’s kind of like putting off a dentist appointment, but continuing to endure the pain every day, or only chewing with one side of your mouth. Maybe they don’t want to deal with a shady mortgage lender or a crusty mortgage broker? It could just be that it sounds so darn “sleazy” to refinance, given all the negative attention the mortgage industry has received over the past five years. So, how many homeowners are actually missing out on this opportunity to save potentially hundreds per month and thousands over the life of the loan? Do You Have an Above-Market Mortgage Rate? Well, a couple months back, a company by the name of CoreLogic noted that some twenty million borrowers with positive equity, or 53 percent of all “above-water borrowers,” had above market mortgage rates. They defined an above market mortgage rate as 5.1% (or higher), which is more than a percentage point above current rates for the popular 30-year fixed-rate mortgage. Pretty surprising, no? I thought the number was high, considering all the news about the “record low rates” that seems to permeate the airways these days. But no, many of us still don’t bother, and instead continue making inflated monthly mortgage payments year in and year out. All that said, it doesn’t make sense for everyone to refinance all the time. Like anything else in the world, it can be a good or bad deal, depending on your unique financial situation and future plans. On top of that, it’s a lot more difficult to actually get approved for a refinance these days, so it’s not the slam-dunk it was back during the boom. See 7 reasons why you can’t refinance your mortgage for more on that. But if nothing else, you should at least look into refinancing your mortgage if you haven’t lately. Rates really have come down a lot, and there’s a decent chance you’re one of the lucky 20 million homeowners out there who stands to benefit. Heck, there are few other things in life you can do to save so much money so easily, even if the process does seem painful and daunting. Tip: Does refinancing hurt your credit score? The reason I’m not refinancing is that I have an FHA loan and going from 4.25 to 3.5-3.75 and have a much higher MI doesnt seem to be worth it. Also not being able to the roll the costs into the loan doesn’t help either. I believe that is correct from what Ive read and seen ref FHA refi. 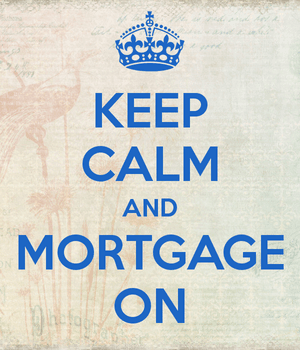 You can refinance out of your FHA loan and into a conventional loan to avoid the higher mortgage insurance premiums. It’s worth looking into or at least taking the time to do the math. Yes the MI these days is higher so reaching a net benefit is difficult at times. I must correct one thing though….you can not roll closing costs into a streamline without and appraisal…however if you have some value in the home then get the appraisal and as long as the closing costs do not put you over 97.75% loan to value, you can roll in the closing costs. Hope this helps!! I bet a lot of people missed the boat on the really low rates, but some may still be able to save money if their rates are 5% or higher. I’m glad I refinanced last month. Now I don’t have to worry about this for a long, long time. I refinanced to a 30-year fixed at 3.375% before rates increased. Guess I got lucky. I easily could have waited too, but with a rate that low, I figured there wasn’t much upside left. With the jobs report that came out on 07/05, 30-year fixed rates are nearing 4.750%. The increase in mortgage rates over the last 30 days will have an impact on home values as it reduces the purchasing power of potential home buyers.